The mission of Treehouse is to be the magical place where children, ages 1 to 12, “Step into a Story”® through interactive exhibits and programs, rooted in the need of all children to make meaningful connections through stories, family literacy activities, and imaginative play. Treehouse Children’s Museum opened its doors in 1992 and has been providing unique educational exhibits and programs to more than 175,000 visitors each year. 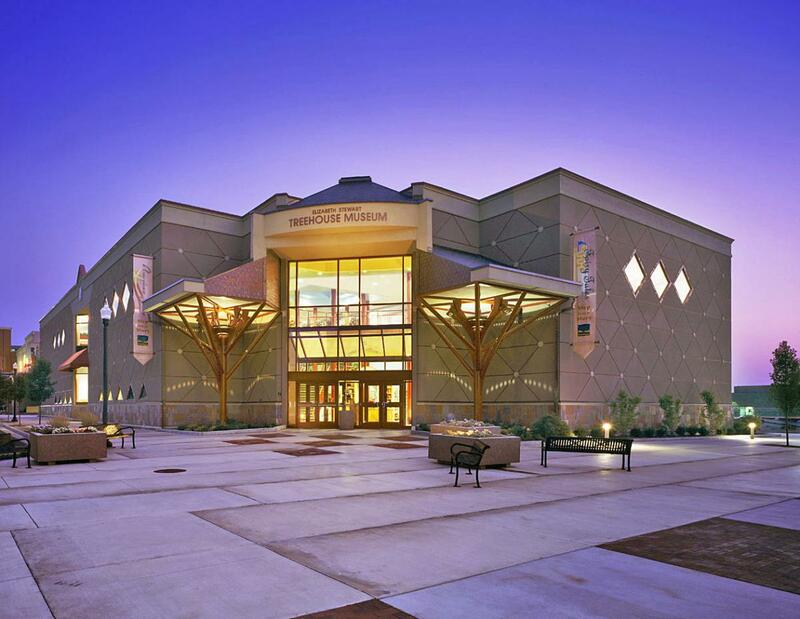 Originally, the Museum was located in the Ogden City Mall, then on 23rd Street while it’s permanent home, the signature Treehouse building on 22nd Street, was being built. The Elizabeth Stewart Treehouse Museum building opened its doors in 2006. 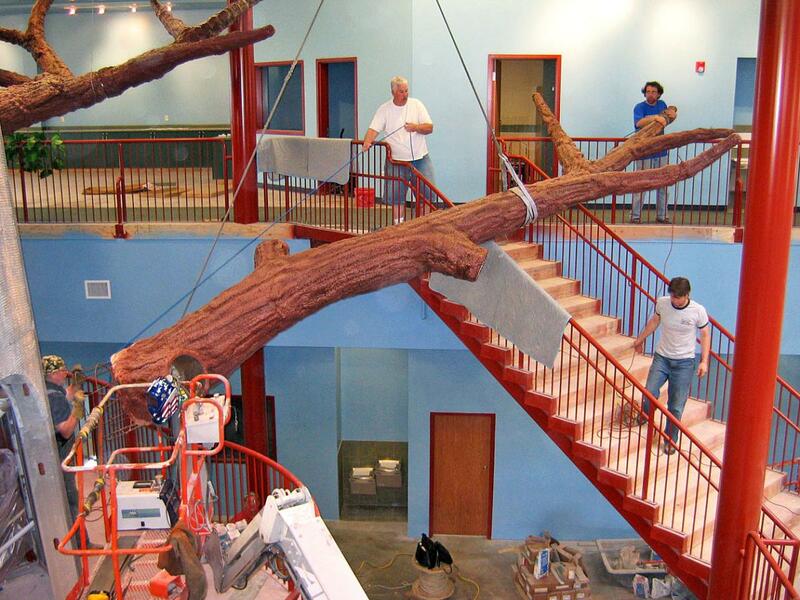 At the center of the Museum is the amazing, 30-foot tall tree, built by Treehouse staff. 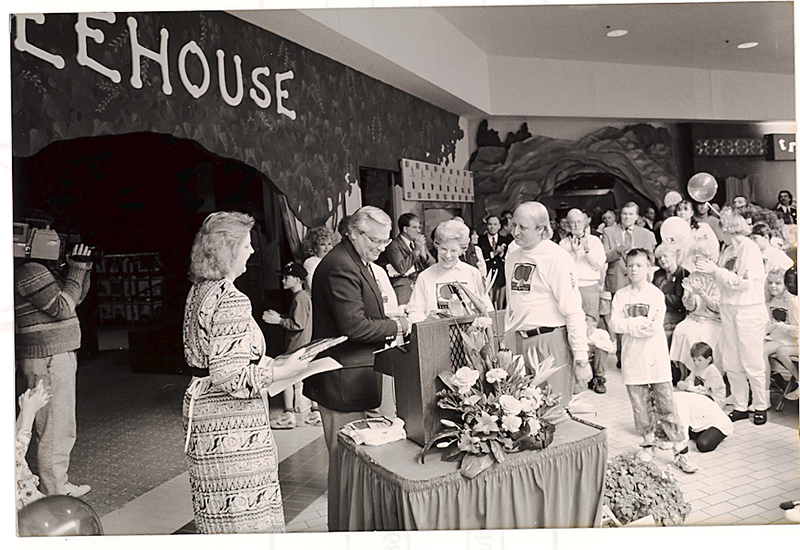 Opening Day in 1992 of Treehouse Children’s Museum in the Ogden City Mall with Beryl Swanson and Chuck Swanson of the Dr. W. C. Swanson Family Foundation (in the Treehouse logo shirts), the founding donors of the Museum, Weber School District Superintendent Steve Mecham, and Treehouse Founding Director, Lynne Goodwin. Opening Day in 2006 of the Elizabeth Stewart Treehouse Museum with Executive Director Lynne Goodwin and Jack Lampros, Chair of the Stewart Education Foundation, Building Naming Donors. (right) Lynne Goodwin, Board Chair Sylvia Cobabe, Ogden Mayor Matthew Godfrey, Jamie Lampros Shenefelt, and Kristen Hurst Hyde, both Trustees of the Stewart Education Foundation. In 2017 Treehouse marked its 25th birthday with 25 parties and events for members, donors, and the community in a Silver Celebration. Here's a look back at the construction of our permanent home, the Elizabeth Stewart Treehouse Museum building.